Stretch marks are streaks that can appear on the arms, breasts and other body parts. Pregnant women often get these marks. 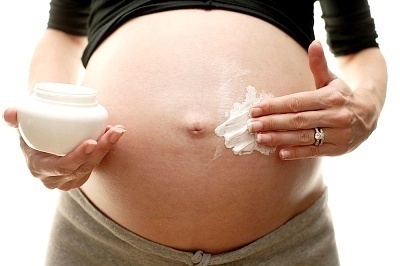 These stretch mark treatments will reduce them, but total eradication is not yet possible. They may fade away on their own, but it takes time. This laser therapy reshapes the underlying skin by stimulating growth of elastin and collagen. This treatment works best on new streaks, but can also be used on marks that are a bit older. These creams (which include Renova and Retin-A) are effective for marks six weeks old or less (those still red or pink). Tretinoin builds up collagen so the marks resemble natural skin. This medication should not be used by pregnant women. This is a nonablative laser treatment that utilizes light wavelengths so collagen and elastin grow. This treatment has been shown to heal the skin rapidly. The laser does not stimulate elastin. What it does is stimulate melanin and lead to repigmentation. This process changes the color of the marks so they resemble the original skin tone. This treatment is suitable for older marks. Here, a hand held apparatus is used to blow crystals into the skin. These crystals are used to polish the skin. Afterwards, the skin cells and crystals are taken off by a vacuum tube. What the treatment does is to get rid of the top skin layer, allowing new skin to grow. The new skin will be more elastic. This stretch mark treatment is a good option for older marks. Your doctor will determine what type of treatment is best. They can also figure out the cause and the best possible remedy. Again note that none of these treatments can totally eliminate these stretch marks. Their costs will also vary. Indicators include indented lines along the skin and bright streaks that are pinkish in color. Sometimes the streaks are grey, red or white. These marks may appear in various parts of the body. They can show up on the breasts, abdomen, thighs and buttocks. The streaks can cover a small or large area. The marks are caused by the skin being stretched along with cortisone increase. Cortisone is a hormone generated by the adrenal glands. This may be responsible for weakening the skin’s elastic fibers. These often appear during pregnancy. This can occur because the skin is being stretched. People who gain weight may also get these marks. Some research has shown that weightlifters also produce these streaks, especially on the arms. Adolescents can get these marks also. Research has shown that corticosteroid creams and pills can also generate these marks. Some diseases like Cushing’s syndrome and Marfan syndrome will produce these streaks too. Adrenal gland diseases, Ehlers-Danlos syndrome and generic health problems are other possible causes. These stretch mark treatments can remove a lot of the streaks, and further research may eventually lead to even better cures and remedies. Remember that these treatments are regarded as cosmetic. Medical insurance usually do not cover them.